A general view of a popular district in Rwanda’s capital city, Kigali. President Paul Kagame’s Vision 2020 program has overseen epic construction projects in the Rwandan capital, such as the $300 million Kigali Convention Centre, and instilled a focus on sustainability that includes a ban on plastic bags, and one day each month of compulsory community service when the public cleans the city. But the future appears less bright for the thousands of street traders working in Kigali, following a new directive from the city council imposing harsh new restrictions. “Whoever is caught peddling on the street or buying the products will (be fined) RWF10,000 ($13),” the directive announced. Traders’ goods are to be confiscated. 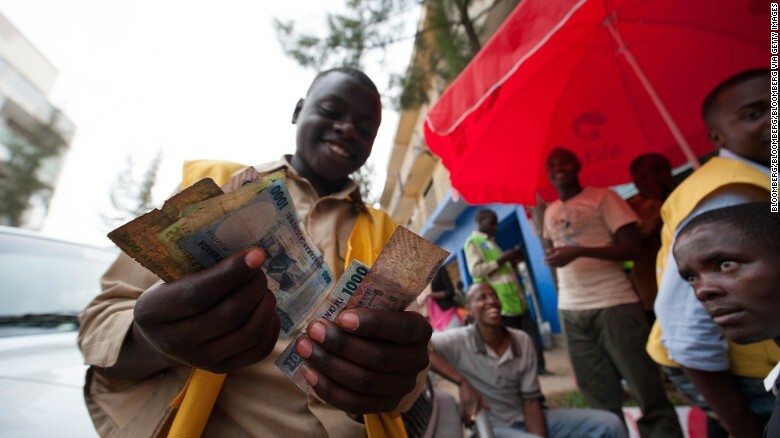 A mobile phone credit seller counts his Rwandan franc currency notes on a street in Kigali. 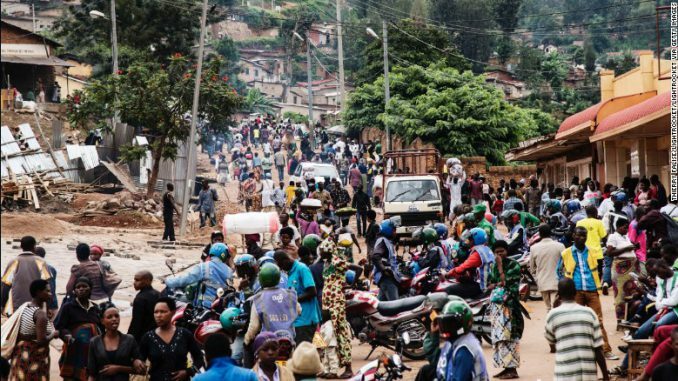 Pressure has grown on the informal economy in recent years, although it accounts for 73% of non-agricultural employment in Rwanda and 46% of the nation’s GDP. Traders have complained of increasing harassment, and the new Mayor of Kigali Monique Mukaruliza has made her position clear. City officials argue the crackdown is necessary as street trade causes economic and social problems. The new measures represent stricter enforcement of an existing prohibition on street vending, Rnagira adds, and they offer new opportunities. The city is offering low-interest loans to traders if they are willing to transfer their businesses to approved, tax-paying market sites. But the task of bringing the vast street trade into the mainstream economy is hugely ambitious, particularly as traders have rejected previous initiatives. 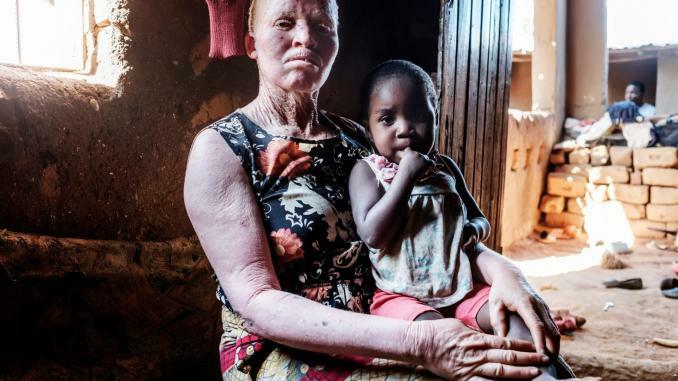 A recent Human Rights Watch report highlights the risks for those who defy the rules. The group documented dozens of cases of vendors being arrested and detained without trial at the notorious Gikondo Transit Center, and in some instances being subjected to violence, extortion and torture. The police describe the facility as a “re-education center,” where street vendors are encouraged to find legitimate work. But testimonies from the workers highlight their desperation. Crackdowns on street traders are becoming increasingly common and severe in the major cities of Sub-Saharan Africa, where rapid development is pushing the informal economy to the margins. 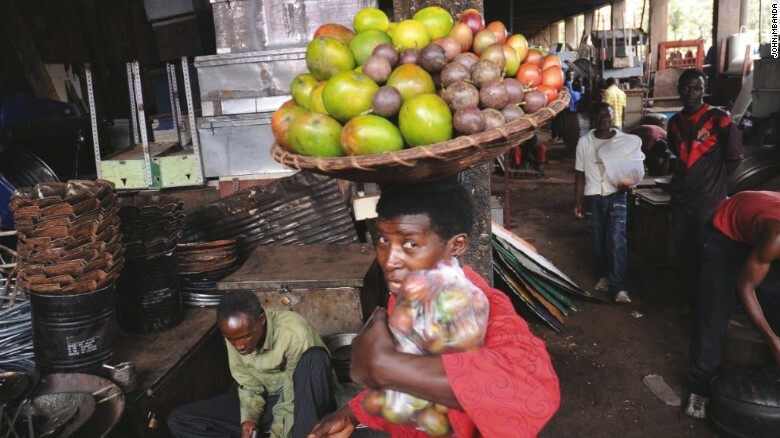 Nigerian capital Lagos recently sanctioned jail sentences for both vendors and buyers of street produce, generating a fierce backlash against a perceived “war on the poor.” South African cities such as Cape Town and Johannesburg have driven out much of the informal trade after long-running campaigns. 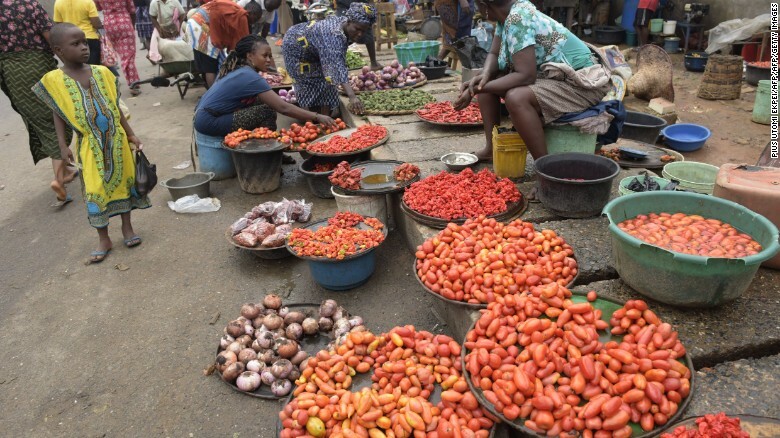 Vendors display tomatoes and pepper at Mile 12 market in Lagos. 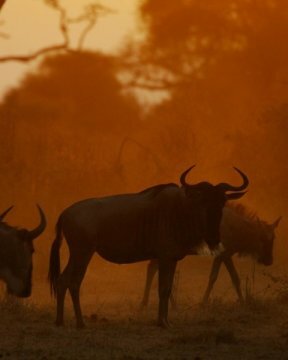 This heavy-handed approach can have damaging consequences, according to Caroline Skinner, senior researcher with the African Centre for Cities, University of Cape Town and urban research director of Women in Informal Employment: Globalizing and Organizing (WIEGO). A WIEGO study in South Africa found that street traders typically have dozens of dependents, who also suffer in any crackdown. Skinner adds that enforcement measures are typically expensive and impractical. “Unless you give people other opportunities they will be back in a day or a month,” she says. “There are opportunity costs as the police will not be chasing real criminals. 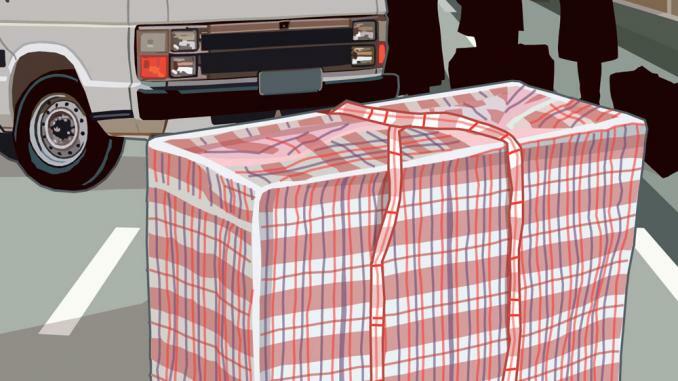 Zimbabwe has had success in clearing street traders through sustained brutality, says Skinner, but severe crackdowns also breed corruption as underpaid police solicit bribes to protect traders. Skinner is skeptical of Kigali’s proposition of transferring traders to approved markets. The effect is often segregation, says Skinner, as the low income traders are corralled into ghettos while the city centers are kept pristine for the affluent classes. As Kigali presses ahead with sparkling modernization, life on the streets is likely to grow harsher.